The Tories have revealed Scottish Labour’s candidate to take on David Mundell in the general election backed independence in 2014. Douglas Beattie, who is standing in Dumfriesshire, Clydesdale and Tweeddale, urged Labour members to vote Yes in the referendum. During the campaign he posted a series of supportive tweets and afterwards described feeling “gutted” for the camp which “fought so justly and valiantly”. 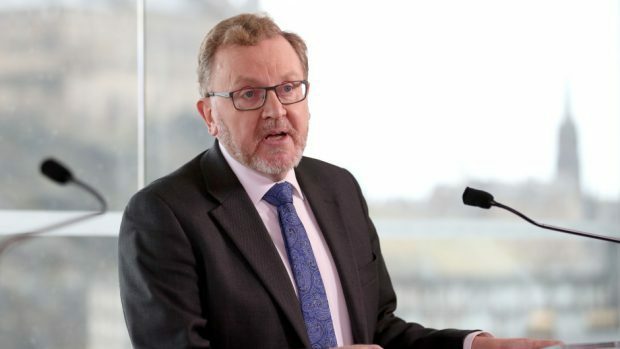 Mr Mundell, who is defending the seat for the Conservatives, accused Labour of being in “chaos” on the issue and insisted only his party would stand up to the SNP. He added: “They (Scottish Labour) are trying to present themselves as solidly pro-union but one of their own candidates backed independence. Liberal Democrat former Scottish secretary Alistair Carmichael said it showed how far the party had fallen. He added: “It is not that long since Labour was in with a chance of winning that seat. “There is only one party that supports Scotland being in the UK and the UK being engaged with the EU and that is the Liberal Democrats. Mr Beattie, a councillor in north London, confirmed he did support the Yes campaign three years ago. But he added: “Like many Scots I would now vote No in any second independence referendum. “I support a more federal United Kingdom, and Kezia Dugdale has laid out Labour’s plans for that in recent months. “There shouldn’t be another independence referendum – it would be a distraction from the economic problems facing our country and the SNP should drop its plans for another vote.